As per request by our readers, on this article I will be teaching you on how to add About Author Box below every Blogger Blog post. It is always good to have this kind of widget on your blog in order for the readers to know the one responsible for making the post and if you have multiple writers in your site, this could be a way for you to distinguish them. It is considered as one of the most useful blog widgets that must be used by every blogger. There are writers who are discovered because of their simple blogpost. And with regards to using this kind of widget, there is individuality in the blog. In this article, you will learn how to put this widget in your site as well as the proper usage. This is my way of helping you become transparent with your readers regarding the identity of your writers. I have pool of writers also and I make use of this widget to give credit to them and not just me as the blog owner. Sometimes it pays to give credit to your workers in order for them to give their best in the job. Step 4. Then, search for <div class='post-footer-line post-footer-line-1'>. Immediately after that code, paste the code below. Write anything about the author here! Step 5. Click "Save" and your done. 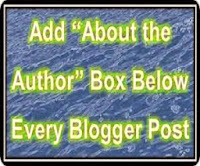 Put details about you on Write anything about the author here! ah ikaw po ba yung nag request? sorry di ko na kasi matandaan, Enjoy the widget po. Happy blogging! it is really hard for me, maybe you can add some tutorial such as video to make it easy. 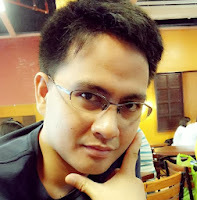 Sir paano po yung sa social links nyo? Thanks! but can you please tell how to resize font size in description ? change the 10px at any font size you want to use.